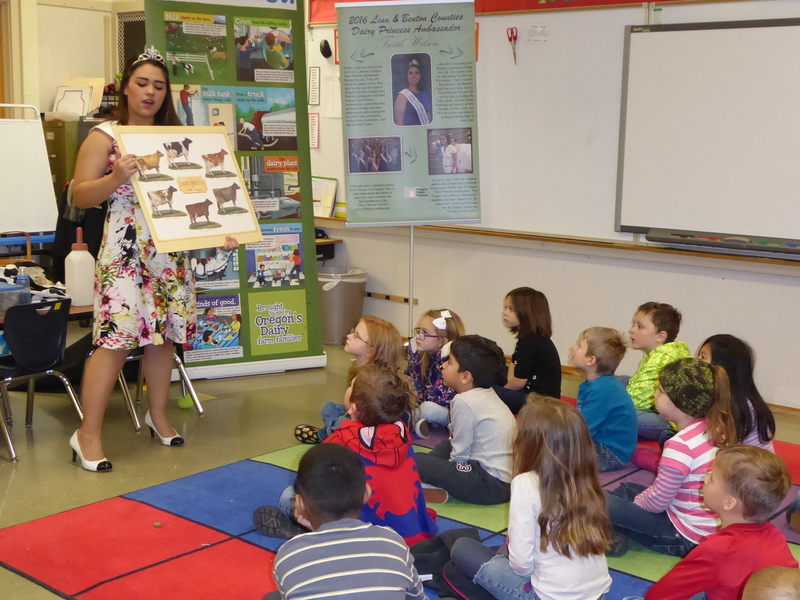 Faith Wilson, the Linn and Benton Counties Dairy Princess Ambassador visited kindergarten, second- and fourth-grade classrooms at Tangent Elementary School. 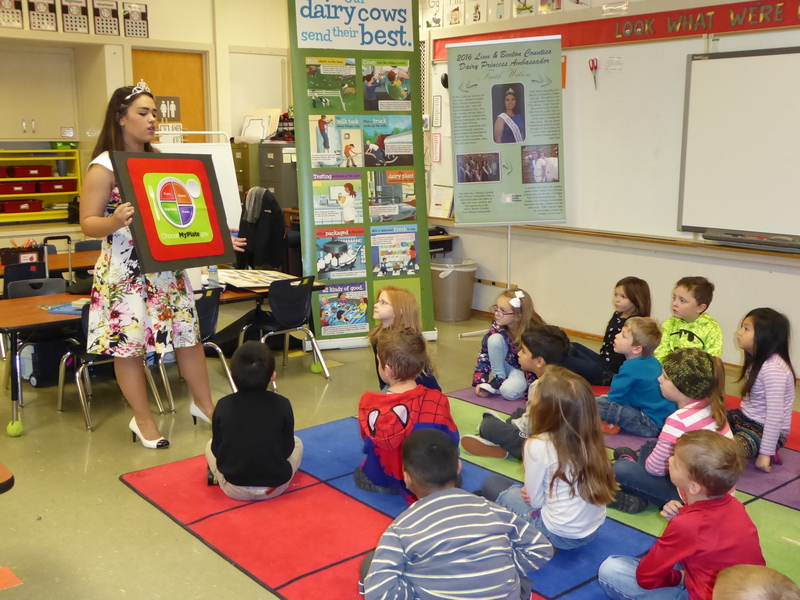 The visit was arranged by kindergarten teacher Sadie Tempel, a former Dairy Princess. 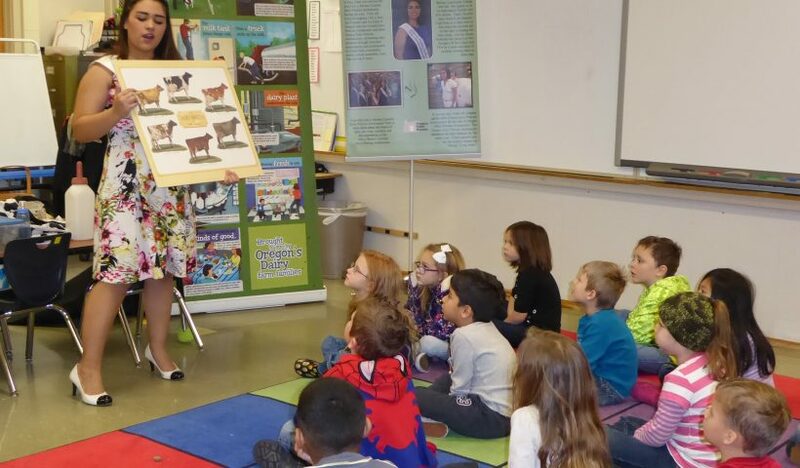 Ms. Wilson told the children about different breeds of milk cows, how much milk cows produce (an average of 7 gallons per-day), what they eat and how much they eat (100 pounds per-day). She told them that cows drink the equivalent of a bathtub of water each day. She also described how cows are milked and the steps that are necessary in getting the milk to market. 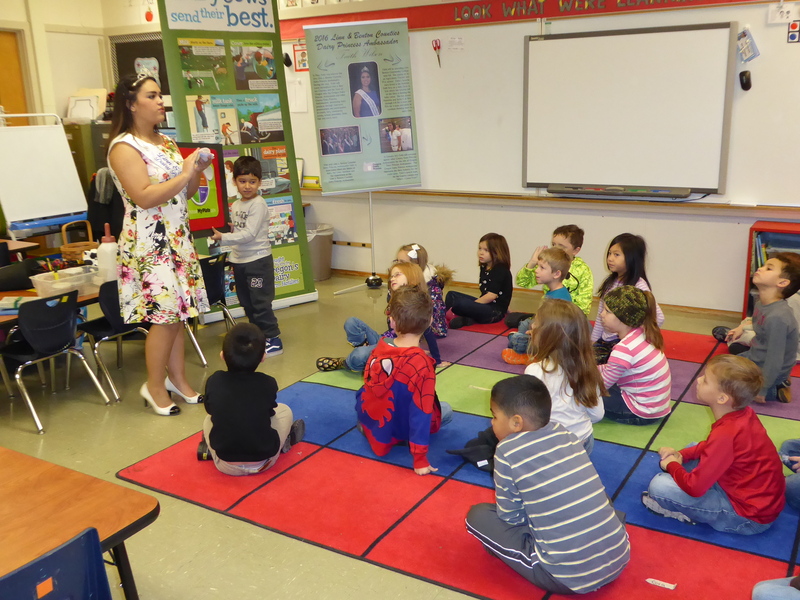 The princess impressed students with her crown and left them with some practical tips for healthy eating habits.